The Department of Homeland Security has awarded ManTech International a pair of task orders worth a combined $18 million for program management and technical services to the capability development support group at DHS’ science and technology directorate. ManTech said Thursday it won the task orders through the Systems Engineering and Technical Assistance II contract vehicle. The company will also assess business operations of the CDS group and analyze programs that support the latter’s mission to help define DHS requirements and develop technologies for frontline operators. Work will also include oversight and guidance support for the CDS director of test and evaluation. 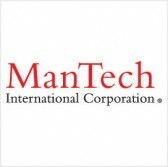 “ManTech is proud to continue its support for the safety and security of our homeland,” said Daniel Keefe, president and chief operating officer of ManTech’s mission solutions and services group.